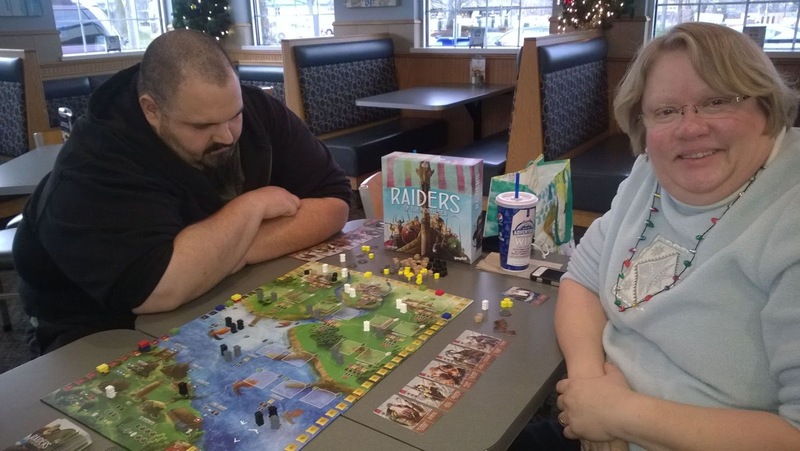 Our friend Wendy got a handful of games recently and brought Raiders of the North Sea (2015) last week for us to try. 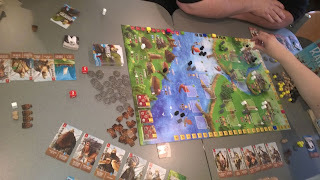 We've played Shipwrights of the North Sea (2014) before, which she also has, but I enjoyed this one even more. I am also looking forward to the third game in the trilogy, Explorers of the North Sea (2016). 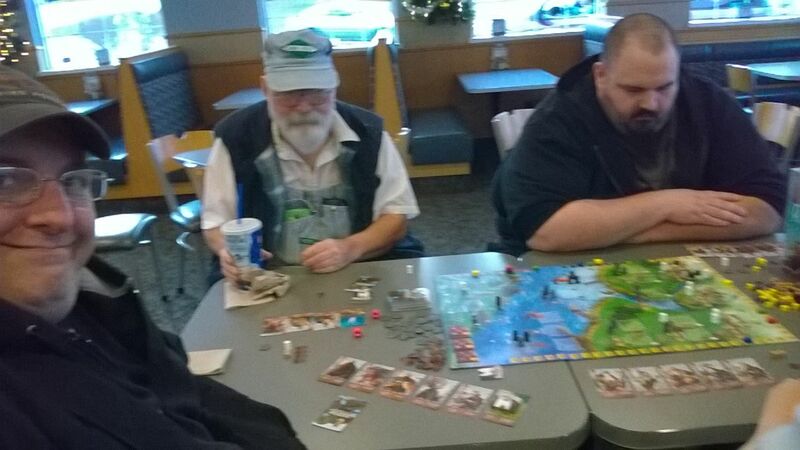 The random placement of the plunder at the start of the game seems to be a big factor in determining your strategy. Losing too many Viking Crew early on to Valkyrie or not getting out on multiple Raids often enough because of lost Crew can stall your progress despite the end game benefits of having collected some of those Valkyrie. Spend some time while learning the game going over the various Crew types and what they do, it might help prevent the analysis paralysis some players can experience if they fill up their hands with cards hoping that the options in-hand will offset getting boxed out of ideal worker placement locations. This is a deceptively complex game and potentially much more interactive depending on the group playing it. However, you primarily effect only the player following you (except a bit more in the end game), so in three and four player games it seems difficult to do much to catch those you follow if they get out ahead or affect their strategy much during the game. I'll need to play this more, and will if I get the chance!